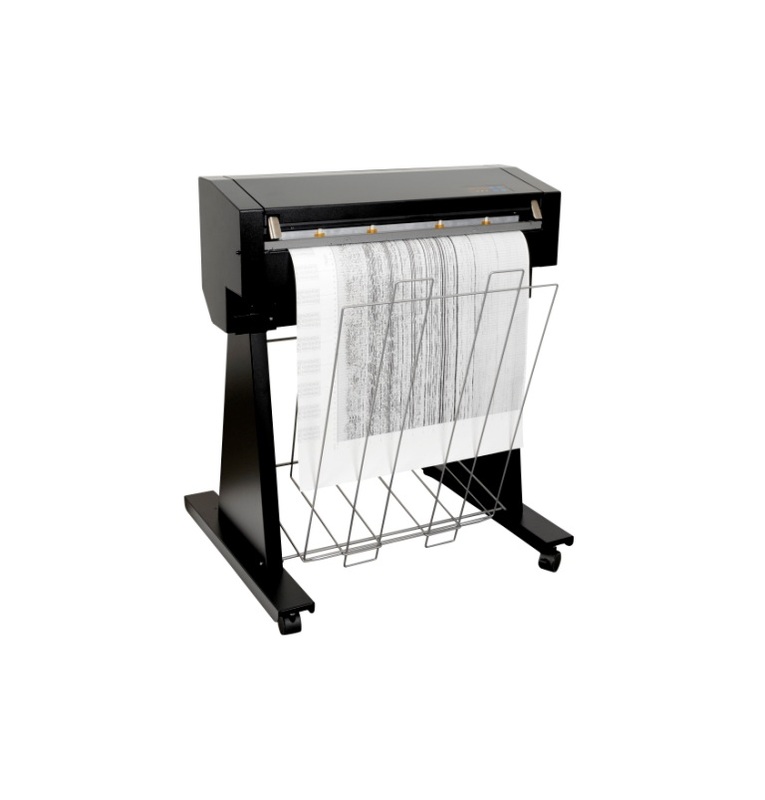 The V24 thermal printer is a solid business investment for printing wide format seismic data. This 24 inch wide printer is monochrome and prints at speeds up to 2" per second. The V24 is a solid business investment. This monochrome printer has production level speeds up to 2" per second and is versatile enough to handle the demands of the seismic industry. The V24 direct imaging printer provides superior quality, high throughput and efficient print handling. Thermally imaged printing creates fast and cost effective prints compared to conventional inkjet or LED printers. The only consumable you need for the V24 is paper. 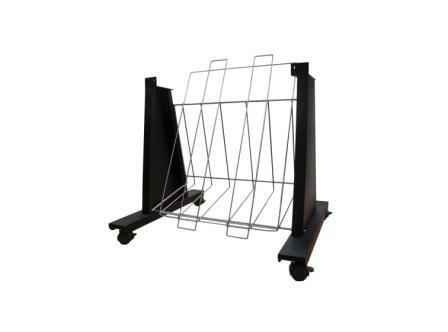 The continuous feed capability allows you to save labor costs by freeing up time spent by personnel in media supervision. 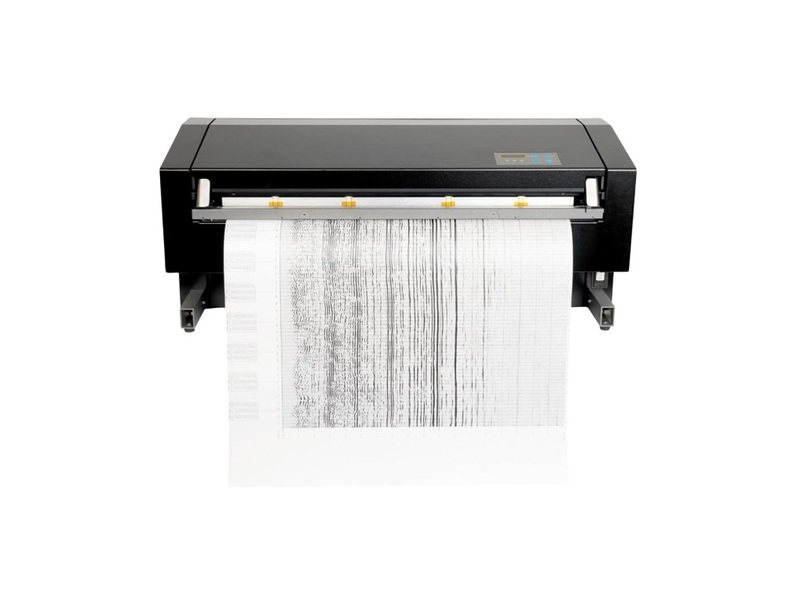 The printer comes with a Versatec™ Longline/Diff or Shortline/TTL with options for Centronics® or 10/100 network connectivity interface.